Below are some of the kitchen trends designers identified. 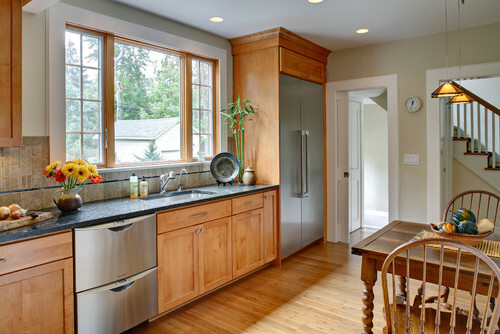 “While transitional styles are still number one, we see kitchen design trending more contemporary this year with clean, simple lines; less clutter, and little ornamentation,” says John Petrie, the 2014 NKBA president. Sixty-two of the design professionals surveyed said they expect contemporary styles to be on the upswing this year and possibly even inch closer to overtaking the popularity of transitional styles. The kitchen is increasingly becoming a hub for home owners’ electronics. 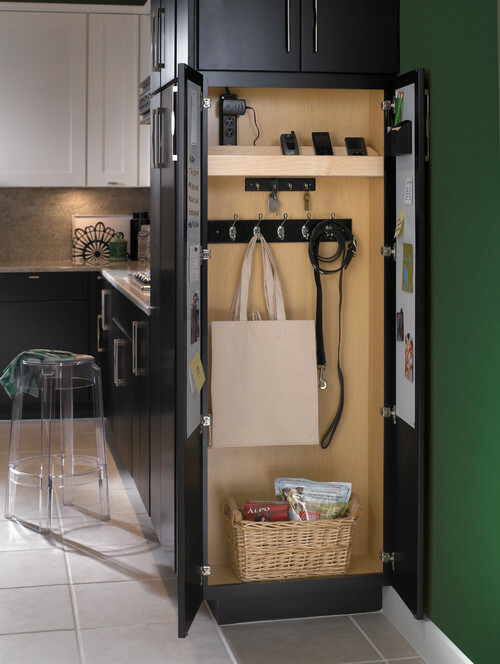 Two-thirds of NKBA kitchen designers said they incorporated docking and charging stations in kitchen remodels. They also included a desk or home office area. Fifty-six percent said they included a flat-screen TV. Home owners continue to look for the energy savings. Sixty percent of designers expect energy-saving appliances to be in higher demand this year. Also, 47 percent of designers said water-saving kitchen faucets likely will be another energy-saver that home owners look to incorporate more this year. 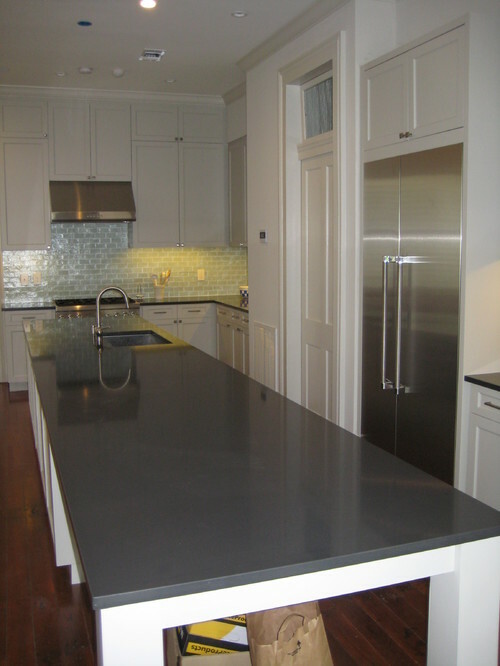 Quartz countertops are expected to gain popularity this year. 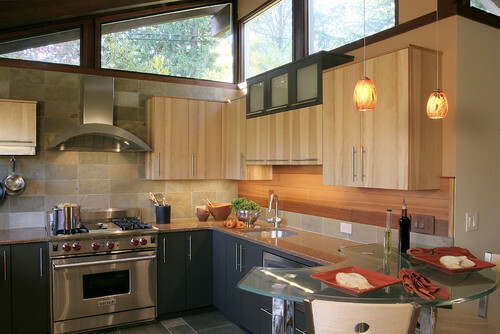 About 70 percent of designers said they expect to see the countertops to increase in popularity. Also, about 40 percent of designers said they expect more kitchens to incorporate countertops made of recycled materials this year. Satin nickel has become the most popular faucet finish in the kitchen and is expected to continue to dominate in 2014, designers say. Polished chrome is second in popularity. Sink materials may be starting to change. Stainless steel is the most popular sink material; porcelain enamel is a distant second. But designers say they expect granite composite materials to become a growing option this year. 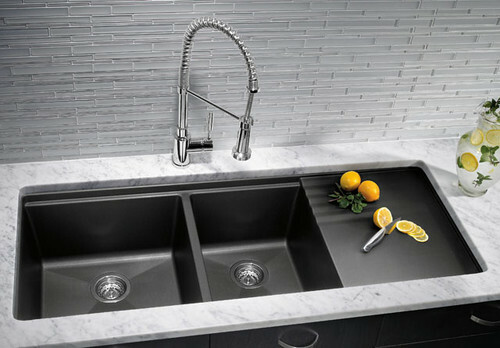 Granite composite sinks, often found in darker hues, are known for being very durable and scratch resistant. They often are comprised of about 80 percent granite and 20 percent acrylic resin. The pets want a place in the kitchen too. 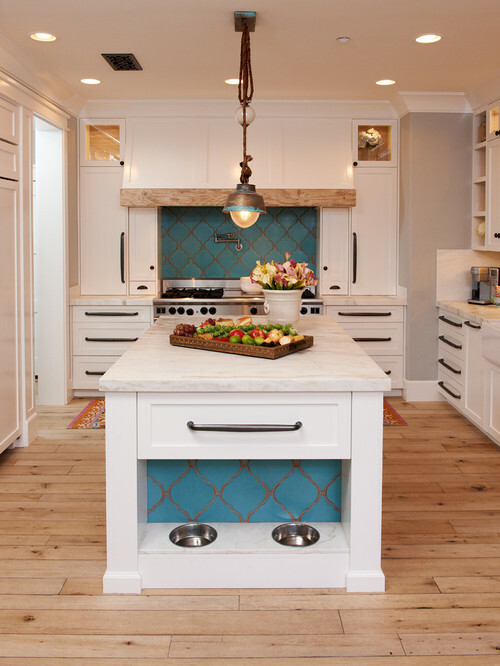 More designer report that home owners are asking for them to carve out a special space for their cats or dogs in the kitchen. These special kitchen spaces are ranging from a nook for the pet’s day bed to litter box cabinets, a feeding station, or even a doggy faucet. What’s heading out of style in the kitchen? Designers said they are remodeling fewer kitchens with highly ornamented Tuscan and Provincial looks. Also, they said distressed and glazed finishes are decreasing in popularity as well as country/rustic styles, according to the NKBA study. I’m a Realtor in Stockton California in the resale market. I sell in all price ranges, mostly residential. I have noticed that there is so much to choose from out there. But the biggest thing I notice is GREEN. Energy efficient first. I’m wondering if cement countertops are still popular? I really don’t see much of those anymore. But there is way of doing them where they are beautiful! Also what about stainless steel countertops? I have also seen 2 different styles of cabinetry in the kitchen. One color on top and a different color on the bottom along with the island being a different surface and cabinet style. The color scheme will go together. Are you seeing or finding this in your research? I am a REALTOR in the Oklahoma City area. My comment comes from a personal experience. I recently did a major update on my kitchen, breakfast nook and utility room/powder room. I wanted to make sure that I was choosing appliances, flooring, counter tops, and back splash options that would maintain appeal over time. I loved the look of the granite sink. The cost was within my budget and I thought it would add some pazazz to my kitchen. However, I never got the chance to actually see it installed. It had to be special ordered and after three attempts to get one to arrive in one piece without chips or cracks, I gave up. I did a little more research and found that the granite composite product can crack and chip over time especially if you are someone who cooks a lot and uses heavy stainless steel pots and pans. One slippery pan dropped in the sink can take the sink out in a blink of the eye. 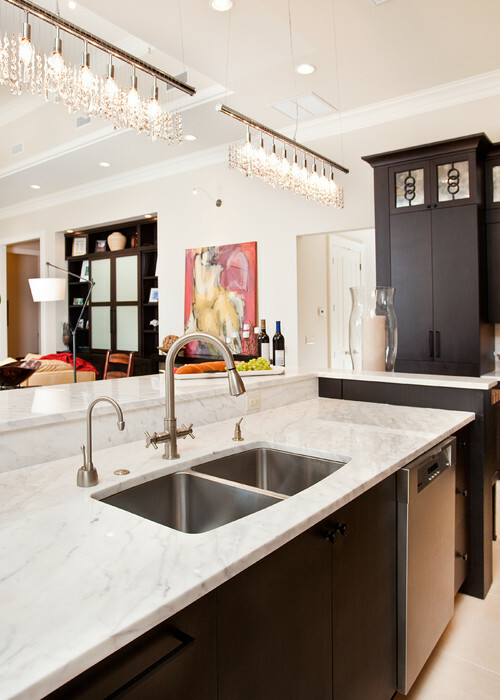 You don’t want to have to replace a sink after it’s been under mounted to a granite counter top. Those kitchens are incredible. I could only dream of having some of those features. My dog would love that cut away, she is always in the kitchen begging for food! Wonderful ideas. Renovating kitchen is pretty tough considering the amount of space.